Two cons in two days! It's been a busy (but fun) weekend! Today I found myself in Lodi, Ca for Grape City Con. I attended this con last year and remember really enjoying it, so I hoped that it would be just as great this year. Long story short... it was! In fact, this year was an improvement from last year. There were a lot of fun things to see and do, all for the low, low price of just eight bucks! And guess what... parking was free as well! A huge thanks must go out to the organizers for making this con very accessible in terms of cost. It's gotta be one of the best deals around. Right when I walked in I was greeted by beautiful and stunning cosplay. The turnout was simply amazing. I walked about 10 steps past the entrance, stopped, and spent 20 minutes just taking photographs of the cosplayers around me. So I didn't get the chance to enter the hall until quite a bit after I arrived. Same thing actually happened with Perry from G33k-hq! We were both shooting away on our cameras as cosplayer after cosplayer arrived! 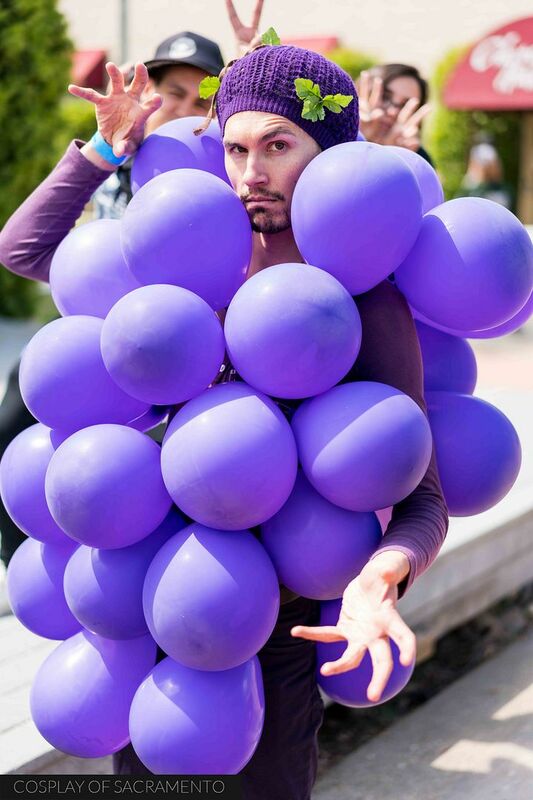 Grape City is a family friendly con. Many kids came to check out what it had to offer. It was cool seeing adults having fun with the kids letting them play with the different things that they had. In the photo above a young girl participates in a friendly joust. It was really sweet to see the kids enjoying themselves. Props to the adults who let them participate and feel like a part of the con! It wasn't as if the kids just came to see. Many of them came to be seen! 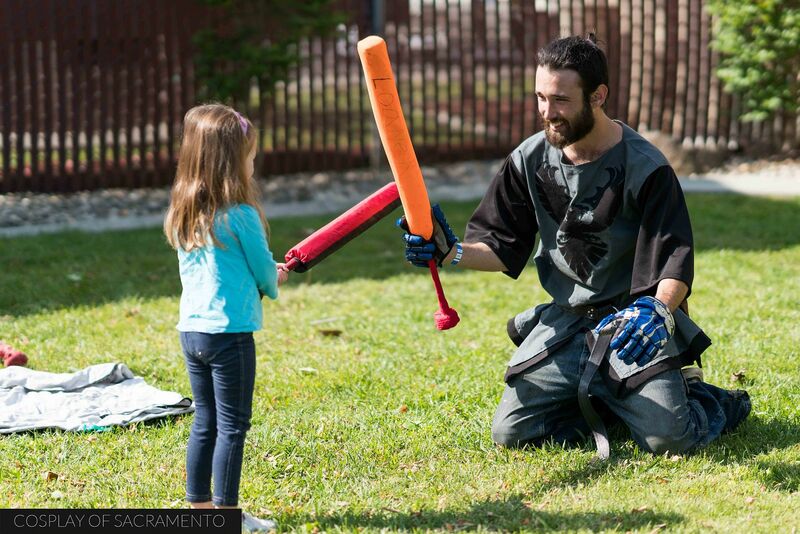 It wasn't just the teens and adults who came to cosplay, but kids as well. We had many fandoms represented by kids in cosplay, many of which were absolutely great looking. Check out this Belle cosplay! 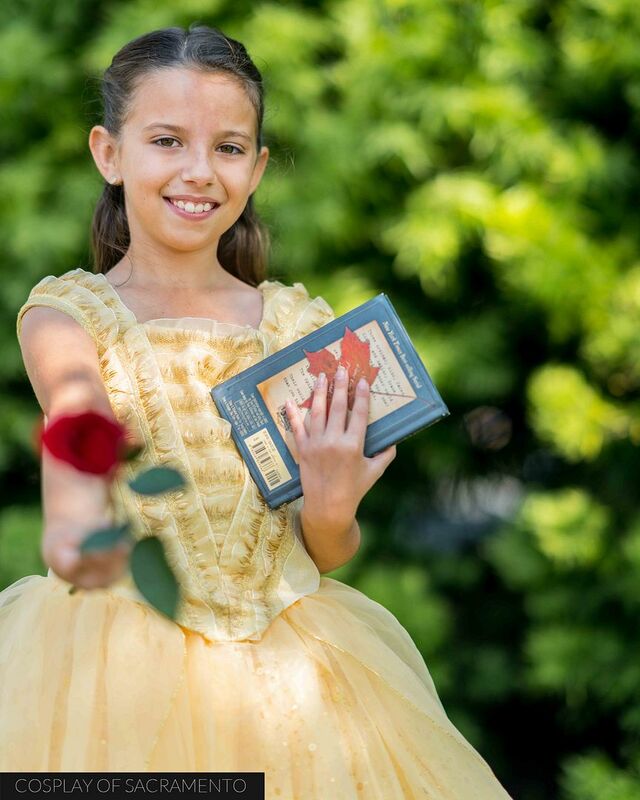 She has her book and her rose along with her gorgeous dress. Well done. Some cons showcase wrestling, but it's usually pretty few and far between. Grape City had a huge covered area just for wresting. 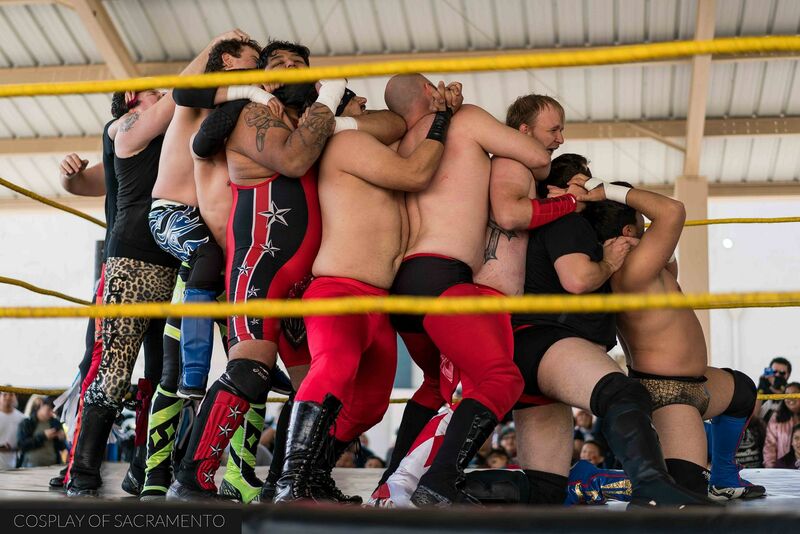 There was a huge match involving many, many wrestlers. Con goers all came to see this huge rumble take place. I had a blast watching the over-the-top moves being performed. All the guys in the ring did great. This was definitely one of the best parts of this con. 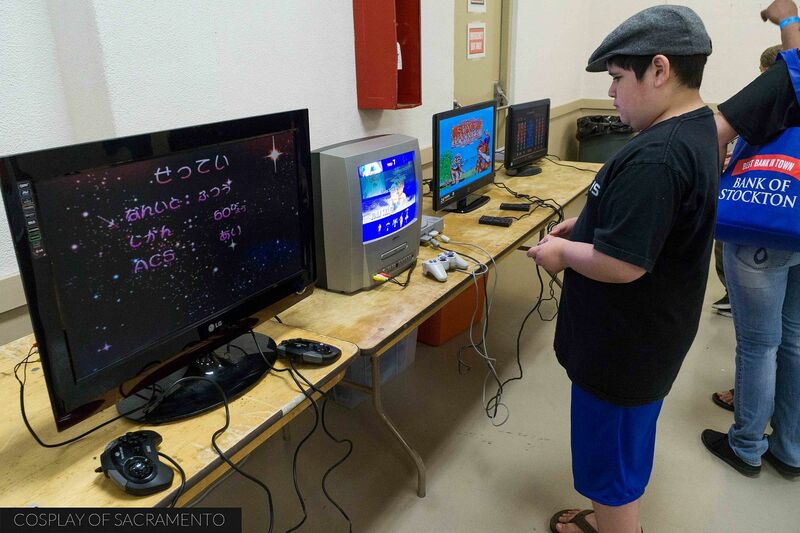 Though video gaming wasn't highly advertised, Grape City Con had a sizable area of retro video games set up for people to play. There was a collection of both older and some newer titles. It was all for free so anyone could just come up, grab a controller, and have at it. I'm always tempted to put my camera down and plays some of the games I grew up with. The temptation is strong! Here's gaming of the non-electric type... table top! 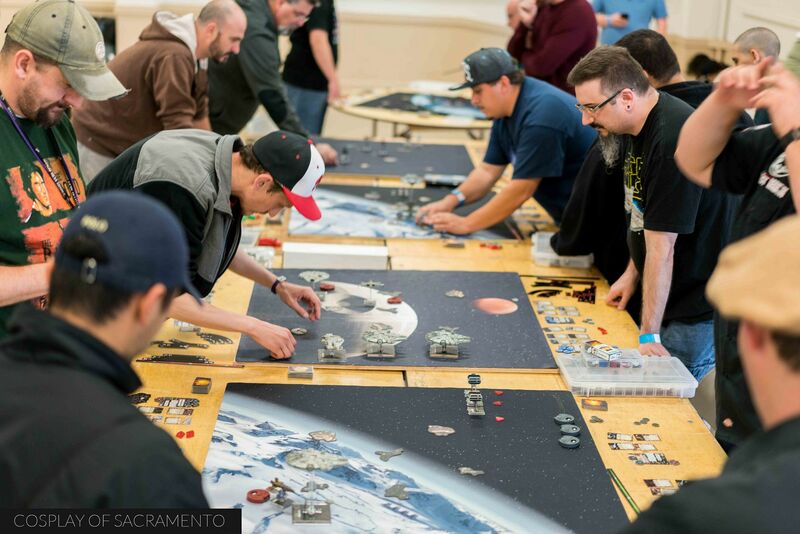 There was a fairly large group playing a Star Wars miniature game during the con. I played a little Hero-clix when it came out, but it wasn't nearly as complex as this. I spent a little time watching the players make intricate maneuvers with their ships in order to gain tactical advantages. This looks like a really involved game that would be fun to get into - if only I had the time! 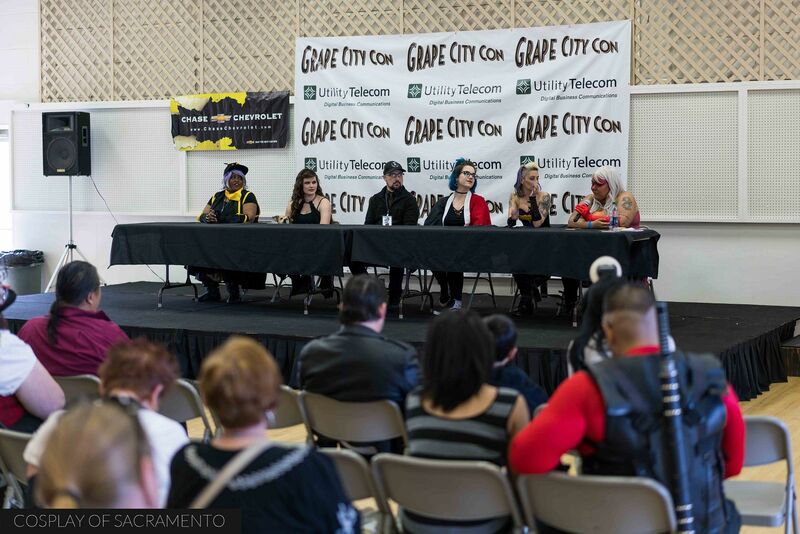 The panel room at Grape City Con is as large as one of the vendor halls. There is ample space to hold a lot of people. Shown above is the Geek Fashion show crew talking about their show. There were other panels held throughout the duration of the con. 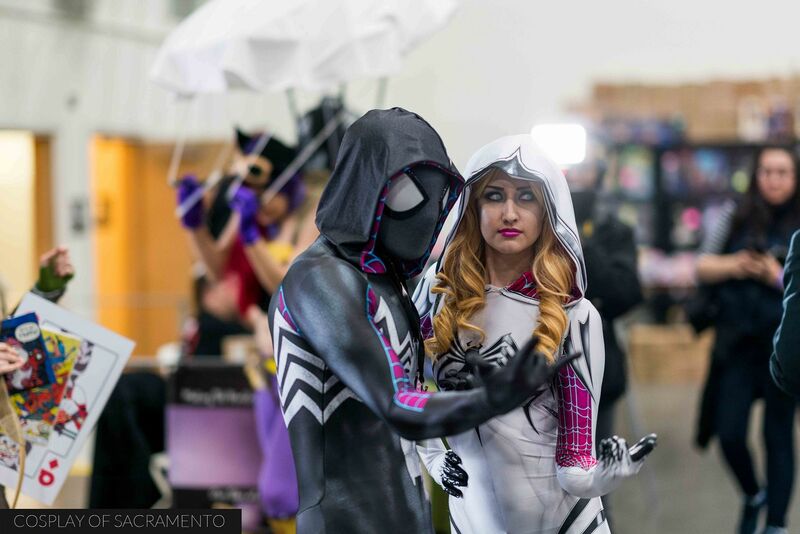 My only regret about Grape City Con was that I had to leave way too early because of other photography engagements I had that day. Though I didn't spend nearly the time I wanted to at Grape City, I did feel satisfied with the what I had. It was a tremendous amount of fun, and it was really awesome seeing a lot of familiar faces around. For a complete gallery of my photos, CLICK HERE. 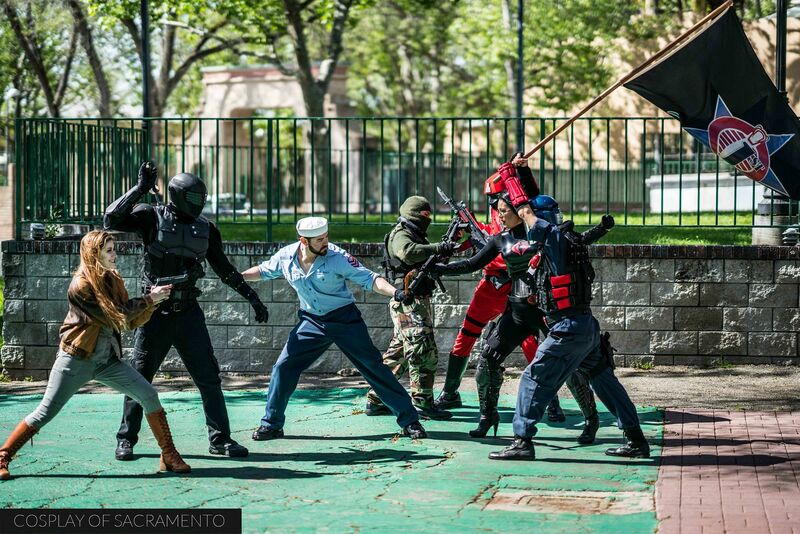 Colossus Con was held today in Pleasanton, Ca. It's a little farther than I usually travel for a con, but I felt it was close enough to make the trek... and I'm glad I did as this con was a lot of fun to attend. 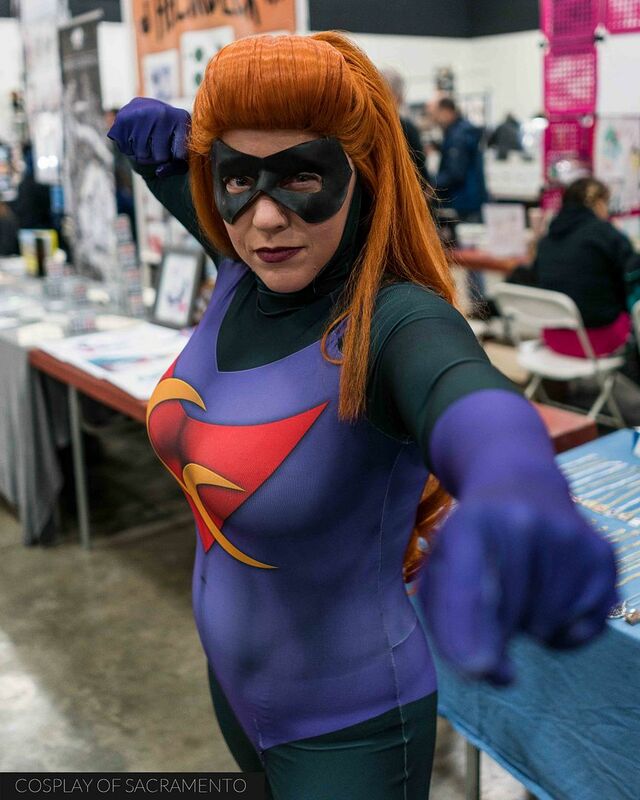 There were quite a few cosplayers on hand as well as special celebrity guests and plenty of dealers filling up the vendor hall. I took out my trusty camera and got right to work getting photos of all that went on during the day. 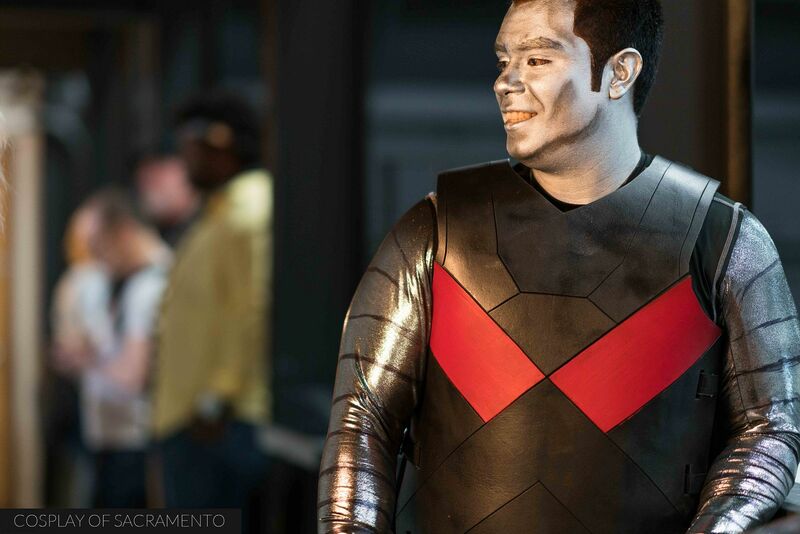 What better way to start off a post about Colossus Con than to have a pic of Colossus from the X-Men? It was the perfect cosplay to have on today for sure! 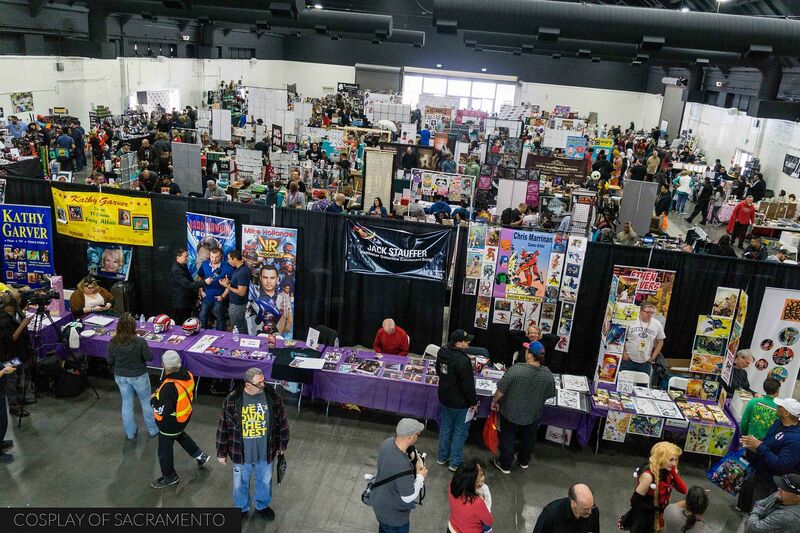 The con was held at the Fairgrounds in Pleasanton. It was a rather large area, but with the help of some of the parking personnel on hand I was able to find my way to the event location. I arrived at about 11am and there was quite a line to get into the building. I was hoping to get in quickly as the weather kept flipping back and forth from very nice to very rainy! Luckily I was able to get inside just as the rain began to come down again. Upon entering Colossus Con I was greeted by non other than Colossus Con Girl herself! Rarely do cons have their own hero in costume so I was pretty impressed already. I didn't recognize her at first, but she turned out to be Icha Icha Cosplay. We've known each other for a couple years now and it was good to see her again. It was the voice that gave her away truth be told! As people came in they were greeted by a nice Colossus Con step and repeat style banner to take photos in front of. Many people took the opportunity to get a photo in front of it. I thought that was a great idea to help con-goers remember that they were here this day. It's also a pretty nice promotional tool for the con itself. The con pretty much was contained within one large hall. The tables were set up so that there was ample room to get around and be comfortable. I never felt that the con was too crowded even though there were plenty of guest on hand checking out all the merchandise. Special guests were located towards the back part of hall where there was even more room for photo ops. That worked out particularly well because some of the guests took some very large group shots. It was awesome seeing Elizabeth Rose as a special guest today. We actually met about a year ago at the G33k-HQ gathering. I had taken a photo of her as Link which she had on display at the table. 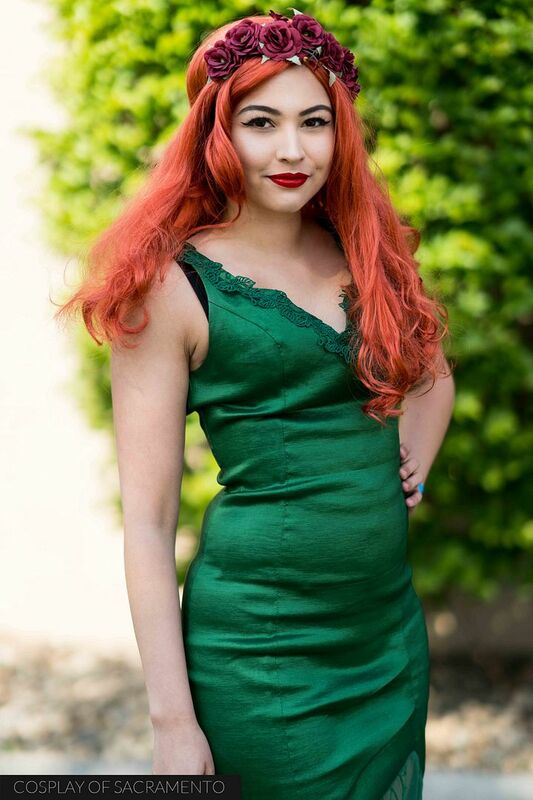 It was great to see her cosplay talents being recognized. Besides getting her own table, she also held a panel on cosplay during the con. Hopefully many guests were able to attend it! Julie Dolan, who voiced Princess Leia in the Star Wars Rebels television series, was one of the celebrity guests today. She was totally swamped with fans wanting autographs. 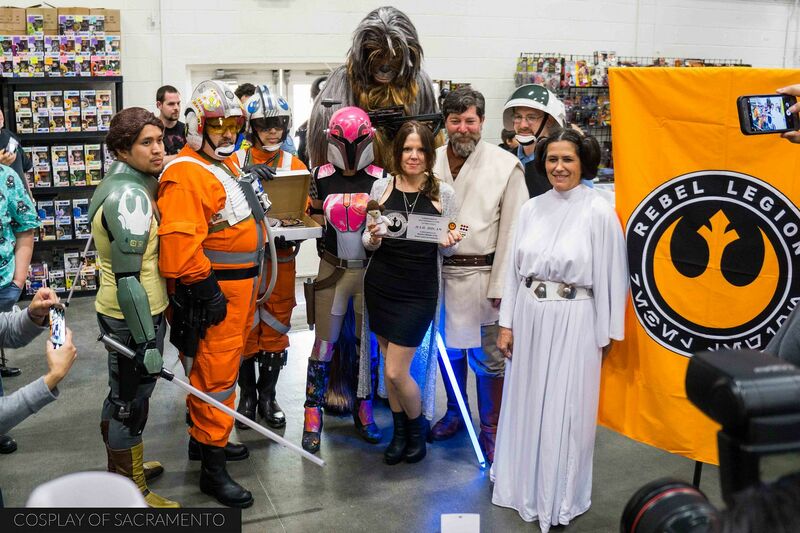 The areas Rebel Legion group got the opportunity to take a special picture with her. Also at the con were Michael Bell (GI Joe's Duke), Jack Stauffer (Battlestar Galactica), Kathy Garver (Firestar), and more! The line-up of guests was pretty impressive! I've been seeing a lot of the Cobra 1st Legion recently, and that's not a bad thing! I love shooting with the entire group (as you can tell)! They were on hand to meet Michael Bell, but we also able to take some time and go outside for a few shots. 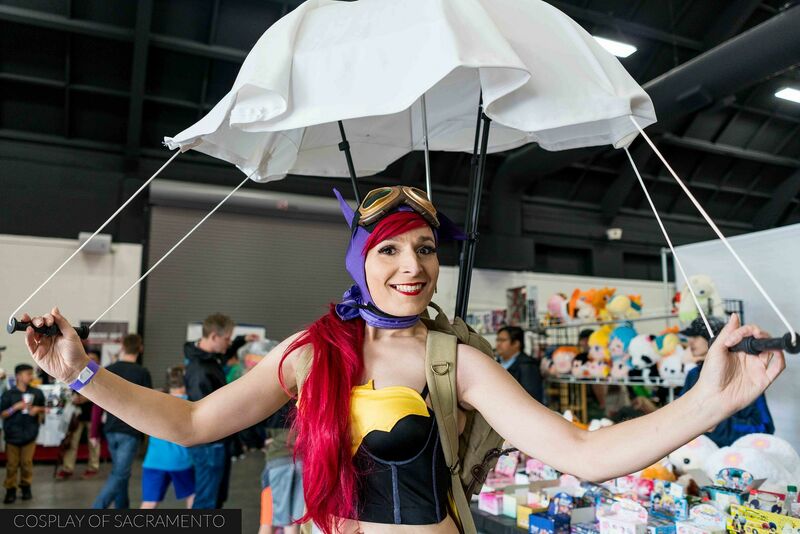 Check out Cammie with her retro Batgirl cosplay with amazing parachute! She was just one of many outstanding cosplays I saw at Colossus Con. It was a pleasure getting a chance to see everyone come out with their A-game. See a full gallery of all my cosplay pictures HERE. I had so much fun at today's con. 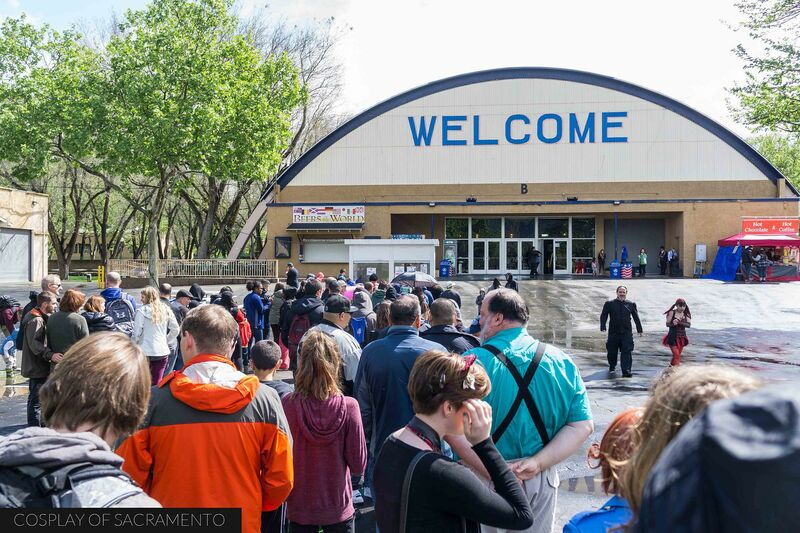 Though the weather was a bit iffy, it wasn't able to stop people from getting the chance to come together and celebrate their favorite fandoms together. 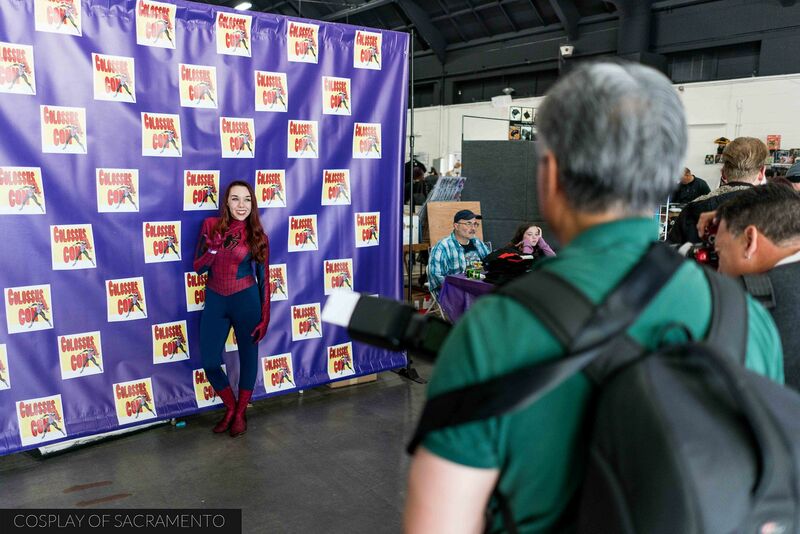 Colossus Con was definitely a con worth attending, and if you haven't been, I suggest you check when it comes around again... I hear there are a few of them throughout the year. 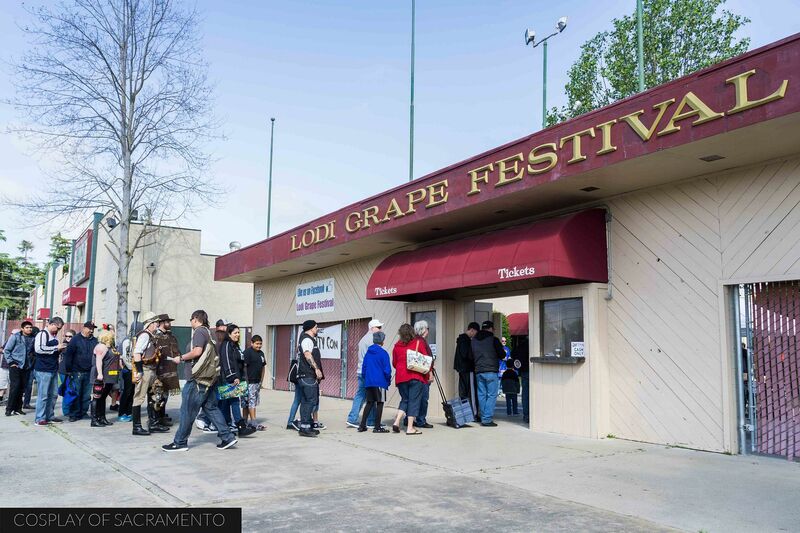 Tomorrow I will be going to Grape City Con in Lodi. 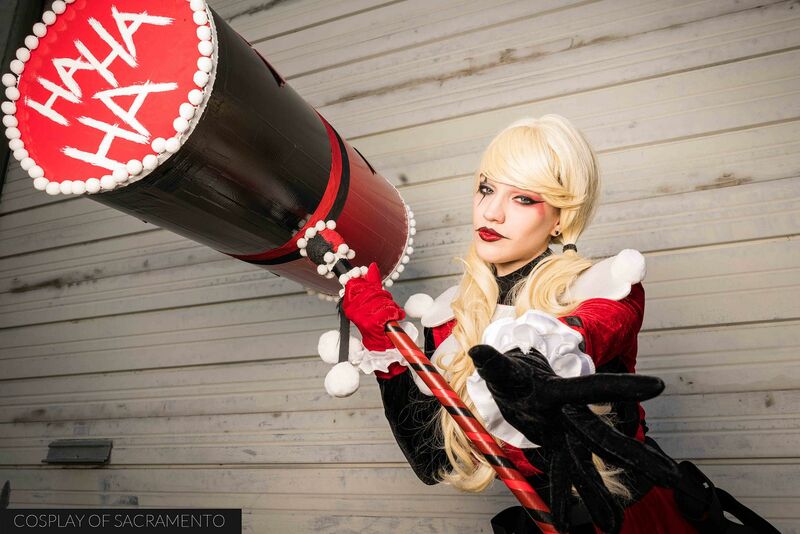 Hopefully I'll get a chance to see more amazing cosplayers there! It's been a while since I've done a private shoot with Necikait, so I was really happy to get together for one this past Sunday. 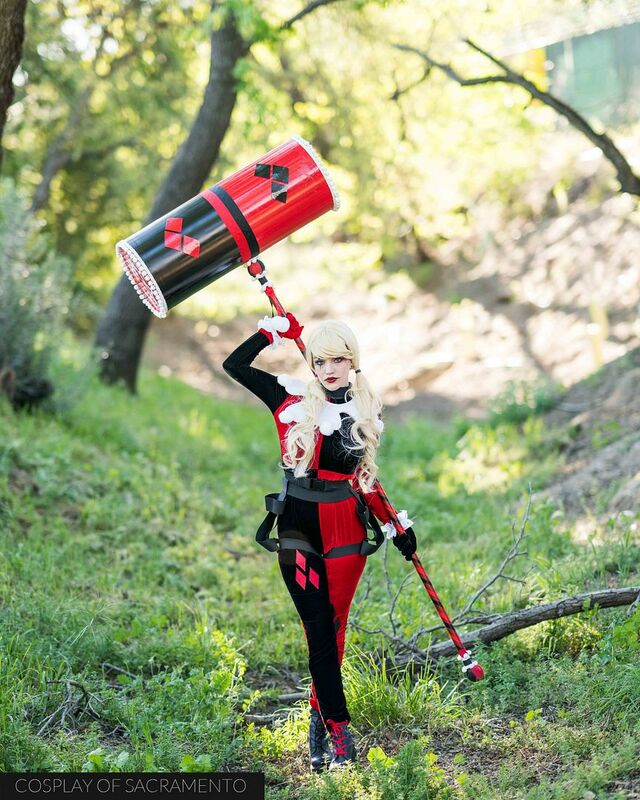 She had been working on a Harley Quinn cosplay and today was the debut of it. It was definitely an honor to be one of the first people to see it! Places to shoot were a little scarce that day, but we found a little area with a dirty garage door that I felt would work. Necikait is an amazing cosplayer. 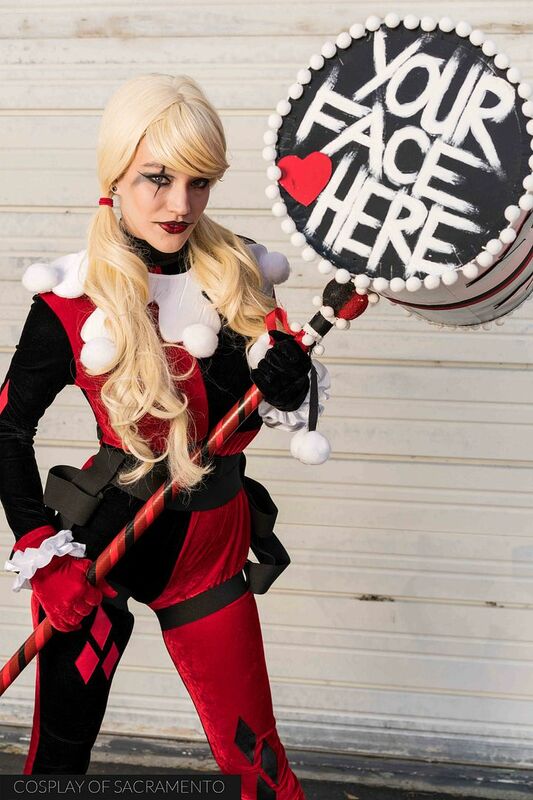 She makes all of her cosplays herself. If you're interested in following her work, I would highly suggest watching her Youtube channel and following her on Instagram and Snapchat using her handle 'necikait'! She's always giving behind the scenes looks at what she's working on as well as the fun stuff she likes to do on a daily basis. Check out the amazing hammer she made - it was over 6 feet tall! I wanted to change up the scenery a little bit so we took a short walk to a beautiful area in the greenbelt. It had a totally different feel than the dingy garage door so I asked Necikait to have more of a peaceful look at this location. And she delivered! The photos in the greenbelt were of a softer nature. 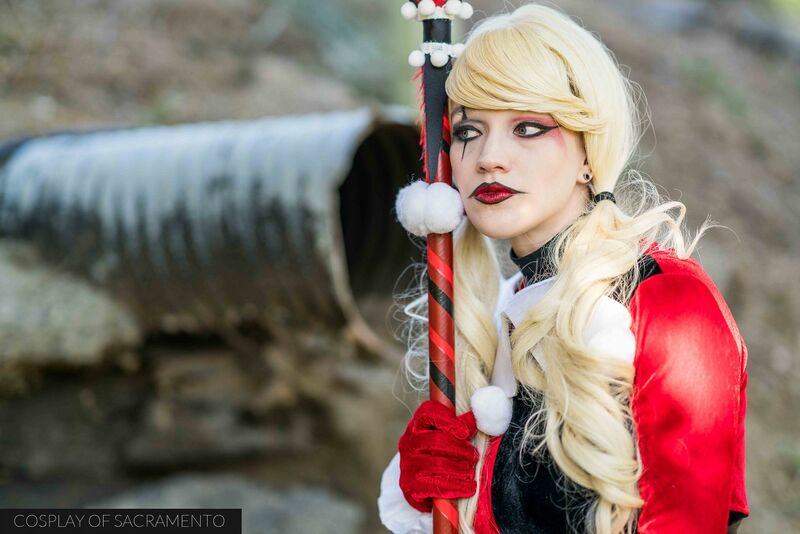 I really like the photo above as it shows a more serene side of Harley. 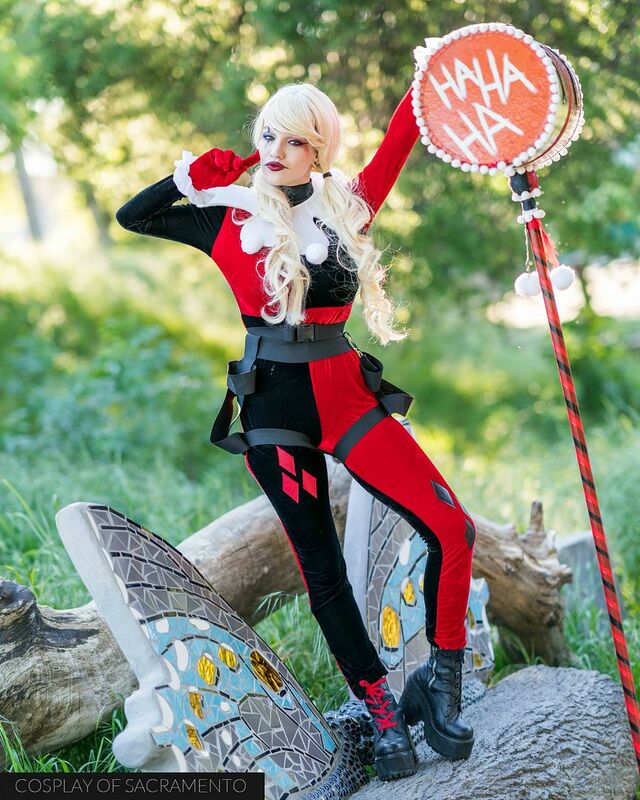 Though being in nature isn't exactly the city environment that Harley Quinn is usually portrayed in, the greens are a great contrast to her costume. I love how she really stands out in the photograph here. Also, the light was really soft as the afternoon changed to early evening. It was a ton of fun shooting during this time. Being in Davis, there are a ton of strange things just all around the bike paths around town. I thought this butterfly bench was a bit silly, so I had Necikait get up on top of it and do some fun poses. I really appreciated that she had a bunch of poses ready to go. Necikait ran through multiple poses in each area that we shot in - she's definitely a pro! Check out all of our photos from this shoot by CLICKING HERE. For the shoot I exclusively went with the Sony camera system. I shot with a Sony A7rii camera with either the 28mm 2.0, 55mm 1.8, or 85mm 1.4 prime lens attached. 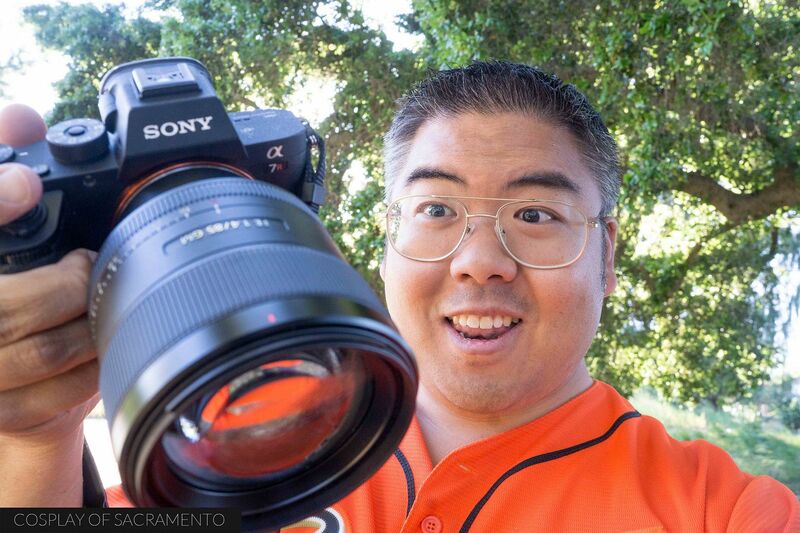 I typically shoot Canon, but it's hard to deny the amazing image quality that Sony cameras can put out. It worked pretty well, but to be honest with you I did struggle a little with the system. It wasn't quite there in terms of shooting speed and the camera locked up once during the shoot, which was pretty annoying. All in all though, I was able to get some images I really liked from it and will be going with this set-up again soon!